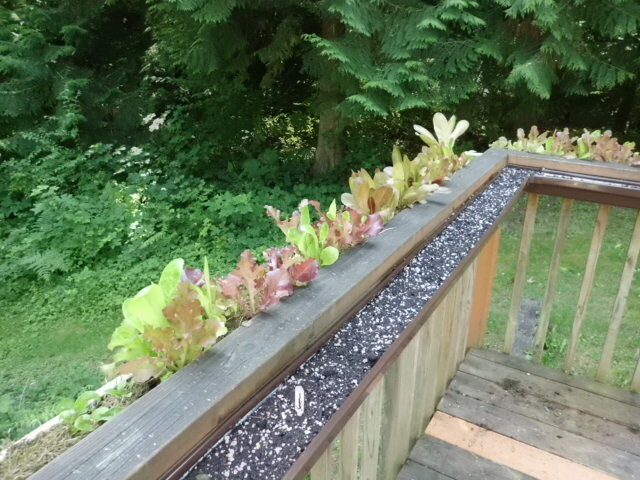 If you're interested in using the gutter of your home as a planter, here you'll find some neat Rain Gutter Garden Ideas that you can make yourself. When you look at a rain gutter, what is your first thought? 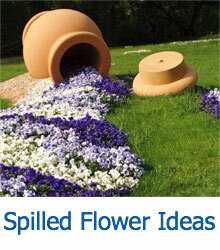 It’s probably not that it would make a fantastic planter, right? But they do! There’s an incredible amount of projects that are easy to complete and don’t require a lot of materials that will help you turn a simple rain gutter into a project to be proud of! 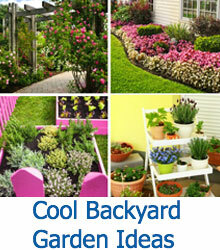 You could paint your gutters and attach them to a fence, create a hanging tiered planter that is easily moved, or you could even attach multiple gutters to your deck or porch railings to create a unique and easy-to-care-for garden that’s easy on your knees. We even tracked down an indoor project you can create for your indoor kitchen herb garden, and included more decorative planter options as well. From more simple displays to utterly unique products designed not only as planters, but as rain harvesting barrels, you’re sure to find both awesome products for those interested in sustainability, and great DIY projects for the whole family! 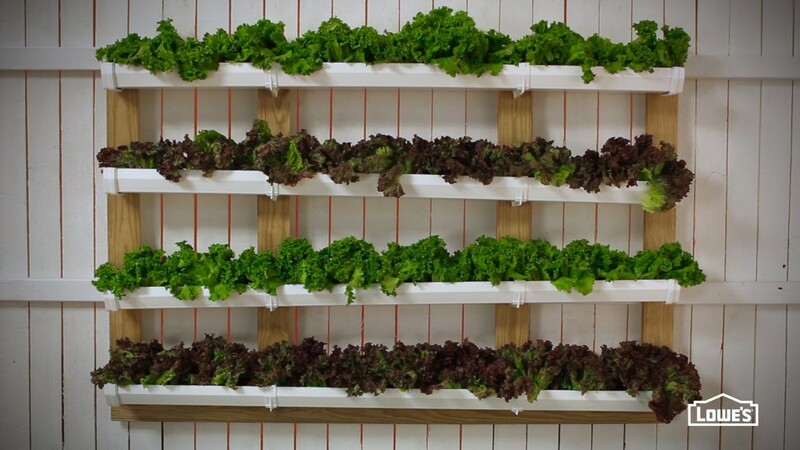 Attaching simple white rain gutters to a wooden pallet is a great way to make a sturdy vertical wall garden, and it’s great for raising lettuce, as shown in the image below! 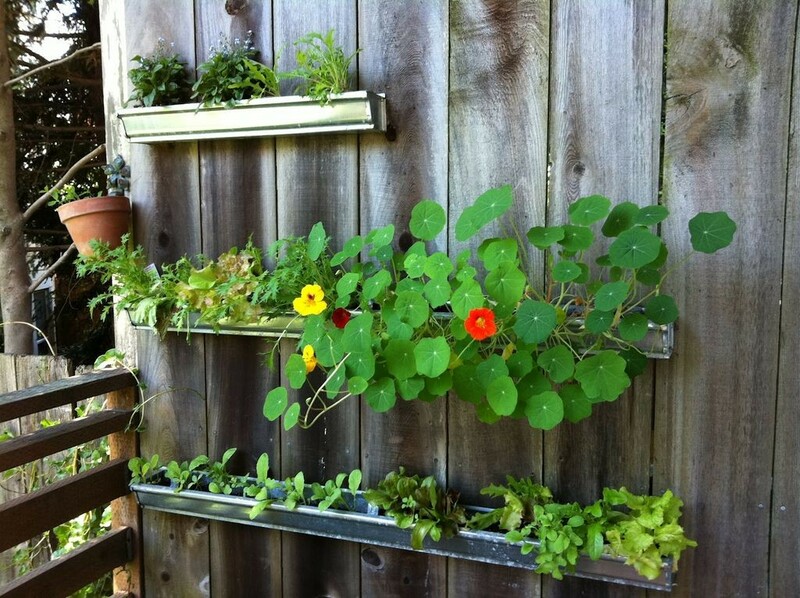 Attaching a few over-the-rail hooks to a regular old gutter turns it into a pretty railing box, perfect for plants with shallow roots. Some gutters are more ornate, and can be painted with metallics or pale colors to create a vertical stacked garden on your fence or shed. Try attaching rain gutters to both sides of your deck railing. You’ll get a pop of color you normally wouldn’t on an elevated or enclosed deck. Who said plants need soil to thrive? 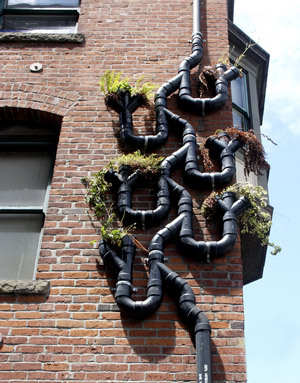 This squirrelly drainage pipe allows a garden to exist even on the side of your home! 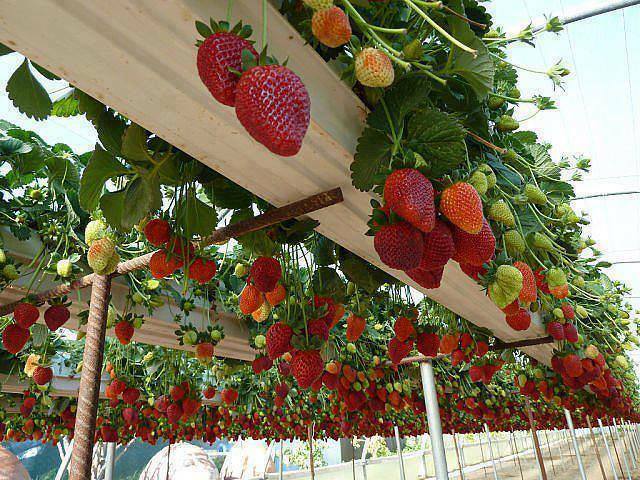 Elevated rain gutters make for great DIY strawberry planters. Just make sure to secure the gutters well, so you don’t end up losing your crop! 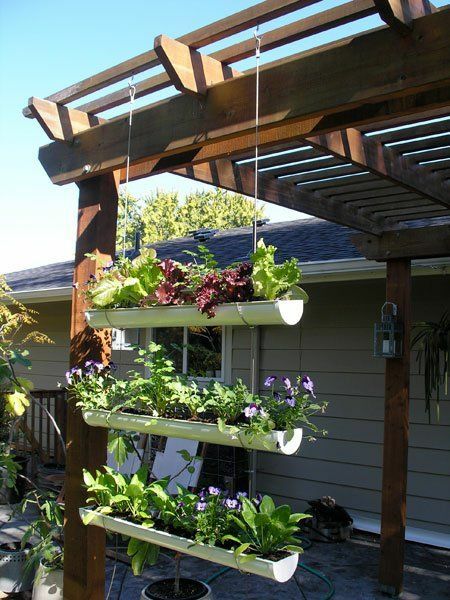 If you’ve a pergola in your garden already, you can easily add this DIY hanging rain gutter planter to your landscaping. 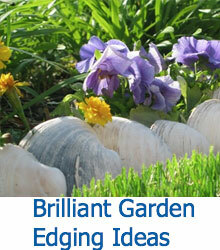 It doesn’t take up a lot of space, and it has the potential to add a enormous pop of color! We’ve seen a lot of outdoor gutter ideas, but what about an indoor planter? 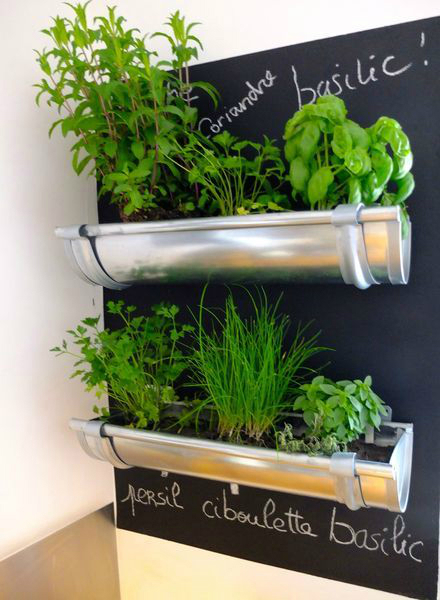 Try spray painting sections of gutter in chrome and attaching them to a thick chalkboard to make a beautiful, personalized indoor herb garden that won’t take up any countertop space! This amazing modern rainwater harvesting system that can collect up to 100 gallons at a time. 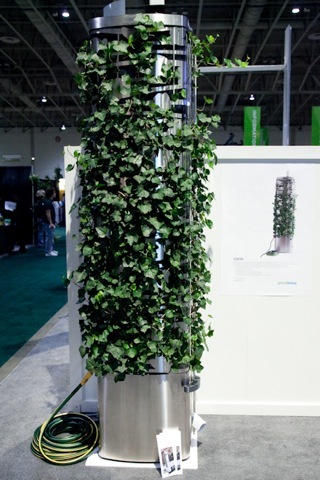 An ivy is planted at the bottom, which gradually grows up and throughout the entire metal structure. 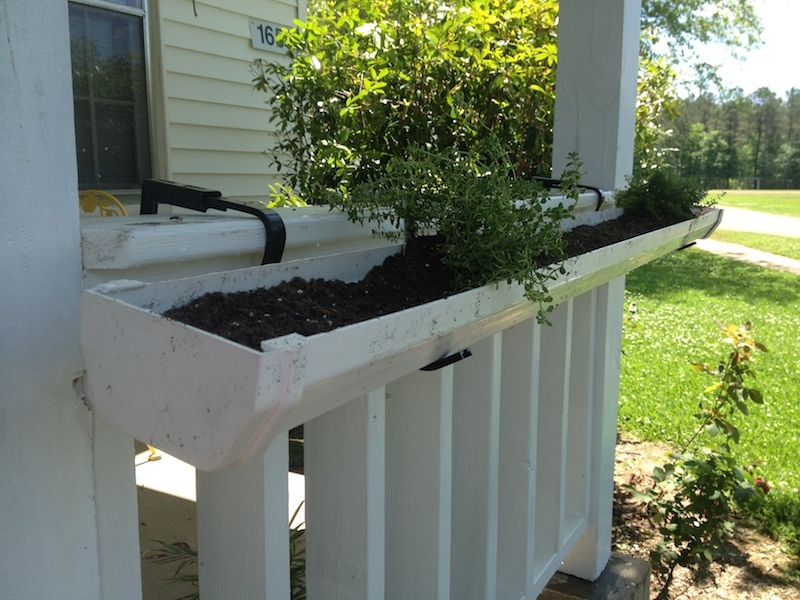 This beautiful alternative to a traditional rain gutter is both environmentally friendly and a gorgeous planter. 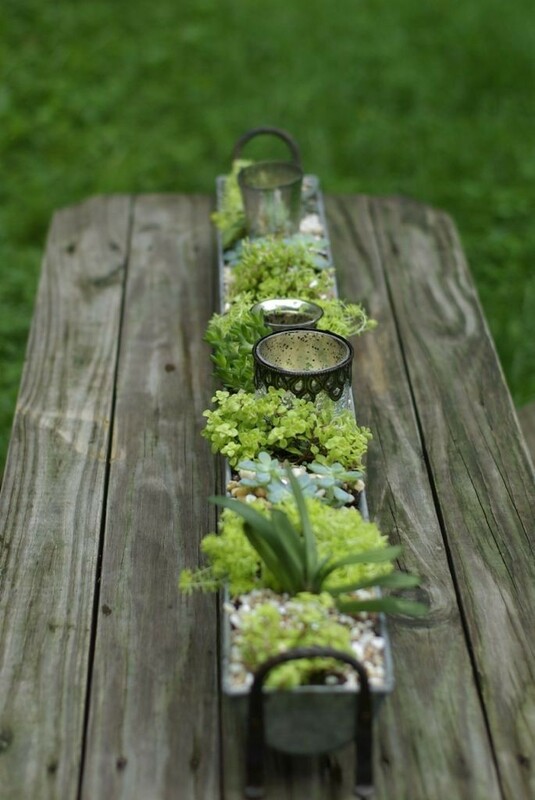 A rain gutter can also be used to create a wonderful outdoor centerpiece complete with succulents and candles. You’ll want to add handles so you can take it inside during inclement weather.